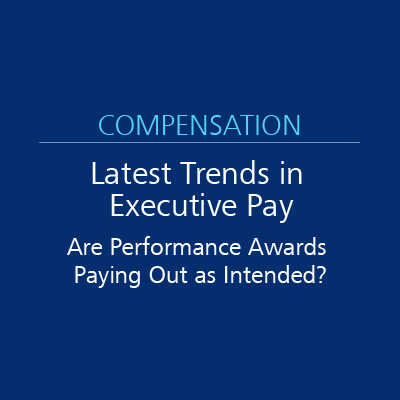 Latest Trends in Executive Pay: Are Performance Awards Paying Out As Intended? With so much executive pay now coming from performance-based awards, it’s a good time to ask the question – are performance awards paying out as intended? The short answer – yes and no. As with many things related to executive compensation, there is not a simple answer. In this paper, we examine the data and discuss the impact that design decisions and performance goals may have on the ultimate value of the award.